The use of chemotherapy in cancer treatment has exploded over the last several years, with a 68 percent increase in chemotherapy drugs since 2003. But that isn’t necessarily good news for anyone but drug companies who are raking in trillions from cancer drug sales. Because although chemotherapy may be effective in killing cancer cells, it is indiscriminate and destroys healthy cells in droves too. 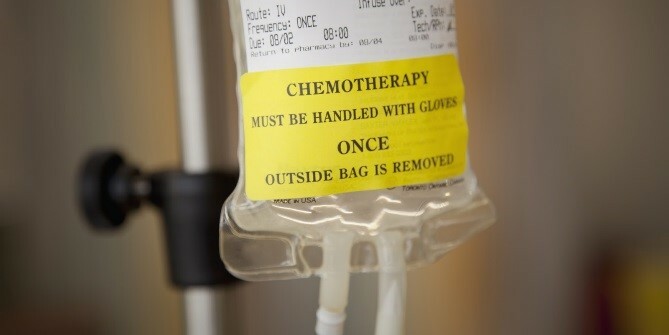 As a matter of fact, many people are as harmed by chemotherapy drugs as they are cancer itself! Since the drugs so severely weaken the immune system while killing off healthy cells, this can threaten the patient’s life just as the disease does. If you are facing cancer, I URGE you to do your homework and get several opinions on your treatment plan. And if you do choose to undergo chemotherapy, the good news is that research has been done that shows an effective way to help keep your body as strong and healthy as possible, as well as warning about the absolute worst thing to do during the process. A study conducted on mice at the University of Michigan indicated that the level of intestinal health is a primary factor to successfully completing and surviving chemotherapy. The researchers gave mice lethal injections of chemotherapy that would, if given in a proportionate dose, kill most adult human beings, too. But they also gave some of the mice an injection of a molecule called "Rspo1" or "R-spondon1." This substance activates stem cell production in the intestinal wall, and these stem cells are “superstars” that can help rebuild damaged tissues faster than the chemotherapy can destroy them! Between 50 to 75 percent of the mice who were given R-spondon1 survived the fatal chemotherapy dose! Although this study was performed on mice and not on men, mice are nearly identical to humans in terms of biology, gene expression, endocrine system function and more…so they’re a pretty good indicator of what would happen in a human. Get some R-spondon1…or make your own! Even though this study used an injection of R-spondon1 as the "catalyst" of stem cell production in the intestinal lining, the truth is your cells already possess the ability to produce R-spondon1 on their own! In fact, your intestinal wall contains cells that are regenerated every 4-5 days in a normally healthy person. But what determines the health of those stem cells more than anything else is your GUT BACTERIA. If you have a healthy population of friendly gut bacteria, the genetic expression of your intestinal cells is also normal and healthy. On the other hand, if your gut bacteria is out of balance (favoring harmful microbes), the gene expression of your intestinal cells will be hampered, which in turn will slow or downright cripple the regeneration potential of your intestinal cells. Antibiotics “work” by killing bacteria in your body. But since they don’t know the difference between healthy and dangerous bacteria, they kill ALL bacteria—and that includes your healthy intestinal flora. This can be especially dangerous for someone going through chemotherapy! Since the ability to survive chemotherapy is clearly dependent on a strong level of healthy gut bacteria, and antibiotics kill off your friendly flora, antibiotic use during chemo could potentially be harmful or downright fatal. This is especially a concern because many cancer patients are, you guessed it, prescribed antibiotics as an infection-preventive measure while they undergo chemotherapy! Clearly, having a healthy gut is vital to increase your chances of surviving chemotherapy and rebuilding and maintaining health beyond treatment! This is far and away THE #1 most important cancer-fighting measure you can take. 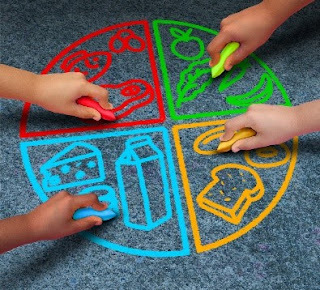 The National Cancer Institute and the American Cancer Society estimate that at least 30-35 percent of all cancers are related to a poor diet! Concentrate on real foods like fresh vegetables, fruits, healthy fats, whole grains, reasonable (3-4 oz.) portions of meat, fish, and poultry, and drink plenty of filtered water. At the same time, avoid soda, sugars and refined carbs as these feed cancer cells as well as nourish the harmful bacteria in your gut. Probiotic supplementation is crucial to achieving and maintaining a strong intestinal flora balance. Even if you have the best diet, many other factors like stress, medications, environmental toxins, and lacking sleep can disrupt your flora balance. What many smokers don’t realize is that in addition to causing lung cancer and encouraging the development of many other cancers, smoking also destroys your gut flora! If you smoke, please quit already. Millions of people have done it before you and it's not impossible. If you need help, there are lots of stop smoking programs and aids out there. Pick one and put that cancer-creating habit behind you for good. Are you part of this frightening health trend? 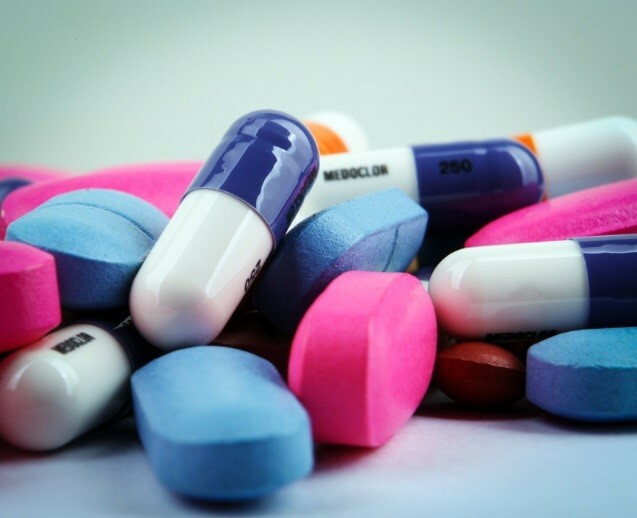 According to a study recently published in the Journal of the American Medical Association (JAMA), the use of prescription drugs in the US from 1999 to 2012 has literally exploded. Overall use of prescription drugs increased by 16 percent from 1999 to 2012, with the biggest jumps being seen in the 40 and over age group. Considering that the US population only increased 12 percent during that time period, clearly, a larger proportion of us are relying on thy daily meds. What’s even more disturbing is that polypharmacy--the use of five or more prescription drugs—nearly doubled from 8 to 15 percent over the same 13-year period. To really understand how serious our increasing reliance on drugs is, you need to realize exactly what drugs are. They are chemicals that alter or suppress one or more of your bodily functions and in doing so, they achieve a desired result (usually relief from a symptom)—but there’s always a price to pay. Antidepressants (SSRIs) shut down the pumps in your brain that vacuum up excess neurotransmitters (in this case serotonin, your feel-good chemical). But this isn’t necessarily the answer to depression and it can backfire on you. First of all, when your brain is chemically induced to hold on to serotonin, it shuts down its own production of serotonin—which can eventually leave you running low and worsen depression! In addition, many cases of depression are actually caused by too much serotonin—so artificially forcing your brain to hold on to it may lead to excessive serotonin levels and even worse depression. And lastly, many cases of depression are the natural, emotional result of traumatic life events and situations—not a low serotonin level. Acid reducers shut down your stomach’s production of acid. Less acid hanging around is supposed to mean less acid to come sliding up into your throat. But by stopping your stomach from producing acid you are destroying your body’s ability to digest proteins since the initial breakdown of proteins into amino acids begins in the stomach. This can have a domino effect of poor digestion throughout the GI tract, eventually leading to gas, bloating, dysbiosis and impaired nutrient absorption. This is why, for example, Nexium is associated with an increased risk of fractures—because your bones aren’t getting the nutrients they need. Your stomach acid also protects you from dangerous bacteria and viruses in your food, but without its protective action, you are more susceptible to food-borne illness. Statins inhibit your liver’s production of cholesterol. Less cholesterol being produced ultimately means less to help clog up your arteries (never mind that the main cause of atherosclerosis is actually inflammation). Statins work so effectively, in fact, that liver failure is a possible side effect. Apparently, the liver takes offense to its cholesterol production being decimated. The most important point to remember is that with very few exceptions (such as antibiotics that kill a dangerous infection), drugs merely cover up symptoms—they don’t restore wellness or optimal bodily function. Put another way, drug companies don’t create cures—they create customers. Don’t open yourself up to be a customer any longer. Especially when there is so much you can do to help create real health from within! The vast majority of your diet should be real foods—meats, poultry, fish, vegetables, fruits, dairy, eggs and healthy fats like butter and olive oil. This is your body’s basic fuel and what it needs most to keep you healthy. To make sure you have all bases covered (and help compensate for the fact that our food supply is not as nutritious as it used to be) a high-quality multi-vitamin like Super Core can help fill any gaps you might have with basic, core nutrients and antioxidants. If your gut environment is unhealthy (and trust me, if you’ve had poor digestion and/or have been taking medications for quite some time, that’s practically a given) you may be lacking in some protection from your precious immune system (among other things). But a top-notch probiotic like Super Shield can help turn that around for you by repopulating your supply of friendly, health-enhancing bacteria. Inflammation is a basic underlying cause of most diseases, including our two big killers—cancer and heart disease. In addition to having a healthy diet of real foods, a potent Omega-3 supplement like VitalMega-3 can help ensure your body has the supply of natural anti-inflammatories that it needs to keep inflammation under control. You and your doctor can decide what’s right for you. Just pick an activity and do it at least four-five times a week. Take the steps you need to help create REAL health from within—not a chemically-induced absence of symptoms. If you’re one of the 25 million or so people in the US with acid reflux, you know all too well the misery it can cause. But there’s another consequence of acid reflux that is far scarier than an acidy burp or having to sleep propped up on pillows. 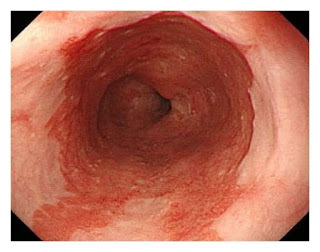 Barrett's esophagus is a condition where the color and the type of cells lining your lower esophagus change, becoming more like the inside of your stomach or intestines instead. This process is called intestinal metaplasia and is most often the result of repeated exposure to stomach acid -- in other words, acid reflux or GERD. Obesity (especially around the abdominal area) can also be a risk factor. It can be especially dangerous because people with Barrett's esophagus have an increased risk of developing esophageal adenocarcinoma – one of the most rapidly increasing cancers in the United States. Once cancer develops, depending on the degree of severity it can result in losing a portion of your esophagus. The surgery is called an esophagectomy, and it involves removing your esophagus and the top part of your stomach. A portion of your stomach is then pulled up into your chest and connected to the remaining un-diseased portion of your esophagus. The most common treatment for acid reflux/GERD and Barrett's is acid reducing drugs. The thinking behind it is having less acid in the stomach means less acid available to slide up and aggravate the cells of your esophagus. But stomach acid is essential for your body to be able to begin the initial breakdown of proteins. So when your stomach acid is “shut off” with medications, your digestion is greatly impaired or destroyed. Tell me, how can these drugs possibly be seen as a wise treatment for Barrett’s esophagus? What IS a smart approach for acid reflux/GERD and Barrett’s? Make sure your digestion is carried out the way it should be! When your digestion is accomplished thoroughly and completely like Nature intended, there is no putrefying mass of food or acid to rise up and irritate your throat. In other words, you help eliminate a primary root cause of Barrett's (and acid reflux/GERD too!). The protein and starch combination is a tough one for your body to handle because proteins and starches require opposing enzymes (acid vs. alkaline) and the presence of these foods together in the stomach can cause the enzymes to weaken or neutralize each other. At that point, your digestion goes out the window! But when you instead pair proteins OR starches with vegetables, you avoid the “enzyme fight” in your stomach, and your digestion can improve dramatically! As we age, our ability to produce adequate enzymes for digestion diminishes, and without enough enzymes to do the job, heartburn and reflux are practically a given (as well as gas, bloating and constipation too). That’s why supplementation with a quality enzyme formula that contains a thorough blend of crucial enzymes to target all types of foods can be a tremendous help in paving the way for better digestion. Do sunscreens really protect you against skin cancer? So, many people dutifully slather themselves up before they dare set foot outside. But is the sun really the evil, skin-cancer-creating monster it’s been made out to be? And are sunscreens all they’re cracked up to be? Sunscreen was first brought to market in 1936, introduced by the founder of L'Oreal cosmetics, French chemist Eugène Schueller. So it only follows that prior to 1936, people were keeling over in massive numbers from skin cancer, right? And what’s, even more, concerning is the fact that even though we are using more sunscreen than ever before in our existence, our rates of skin cancer still continue to rise! The whole skin cancer issue is not cut and dry, and many people are misinformed about a number of things. First of all, there are three types of skin cancer—basal cell carcinoma and squamous cell carcinoma (which are rarely fatal) and melanoma (which is the deadliest). Most skin cancer cases involve basal and squamous cell carcinomas. Basal and squamous cell cancers are strongly related to UV exposure over a period of years. Studies have shown that some sunscreens do help lower the risk of squamous cell carcinoma, but not necessarily basal cell carcinoma. Melanoma, on the other hand, is associated with sunburn, especially sunburns you get early in life. But interestingly, melanoma often appears on areas of the body that rarely are exposed to the sun—so the puzzle Is missing a few pieces. Plus studies have not conclusively determined that sunscreen protects you against melanoma. Some studies suggest a positive outcome, some show no difference, and even others have shown an increased risk of melanoma with sunscreen use! Shunning the sun does have a dark side (no pun intended)—because your body needs UV light exposure from the sun to make vitamin D.
Vitamin D protects you against cancer, so in effect by avoiding the sun because you’re scared of skin cancer, you’re actually raising your risk of other cancers! This is arguably the most important point of all. Many sunscreens are not only not completely effective, but up to 75 percent of them are downright toxic! First of all, a product needs to shield you from both UVA and UVB radiation, as both of these can increase your skin cancer risk with overexposure. But many sunscreens only protect against UVB rays, which are the rays that your body uses to make vitamin D.
So you’re getting only half the protection yet at the same time are shutting down your body’s vitamin D production! Clearly, completely shunning the sun is not necessarily in your best interest, nor is slathering potentially toxic sunscreen on your skin or thinking you have free reign to roast yourself like a turkey because you have sunscreen on! Take care of your skin from the inside out! This means eating lots of fresh fruits and vegetables, drinking plenty of water, getting enough omega-3 essential fatty acids (fish oil formulas like VitalMega-3 can help) and getting enough protective antioxidants, vitamin B3 and vitamin D. Super Core has health-supporting levels of all of these, plus many more vitamins, minerals, and anti-inflammatories. This will help allow your skin to naturally produce vitamin D as it was designed to. If you stay in the sun for longer than 30 minutes, it’s time to protect yourself. Options include wearing light clothing, sitting under an umbrella, or wearing a wide-brimmed hat and sunglasses. As far as sunscreens go, be sure to choose “broad protection” (UVA and UVB) mineral-based varieties that do not contain the harmful ingredients listed above. I use Badger® SPF15 but there are many great brands out there including True Natural®, Kiss My Face® and Bare Belly Organics®. If you see your skin going from a healthy light pink or tan to red, get out of the sun immediately and put some aloe vera and/or vitamin E gel on your skin. Enjoy the sun the way you’re supposed to—safely and healthfully!